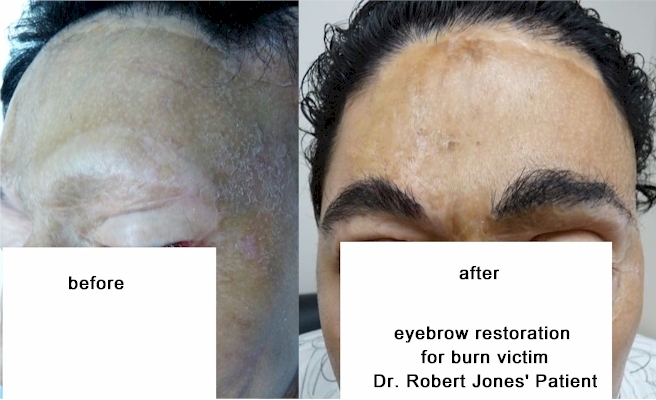 Eyebrow restoration using FUE for burn victim. 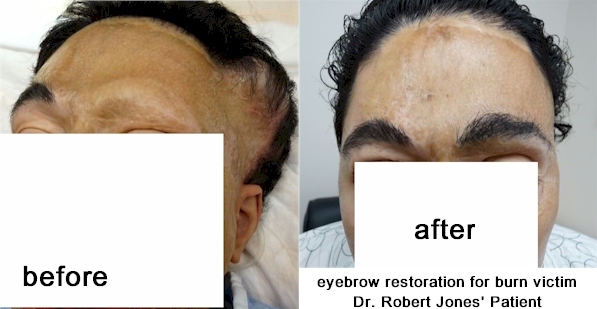 In two weeks time, we are going to be performing a hairline reconstruction as well as a left sideburn reconstruction on this patient. All fees have been waived for this patient as well as for all burn victims. Is the eyebrow done by fue? Hairsite , this is after how many grafts? » been waived for this patient as well as for all burn victims. I have not that many eyebrows myself naturally. If i were to get FUE into my eyebrows wouldnt i have to keep cutting my eyebrows for the rest of my life as they would grow like scalp hair? » » been waived for this patient as well as for all burn victims. » life as they would grow like scalp hair? Good question. the right side does look a bit thicker than the left.